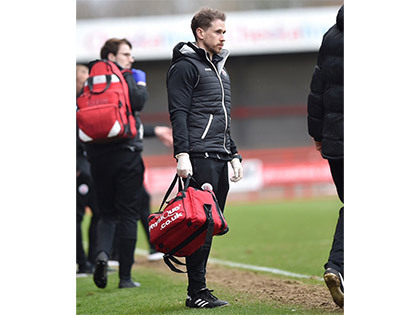 "Crawley Town Football Club use Physique management for our medical supply and healthcare needs. The staff are helpful, knowledgeable and they always provide an efficient and hassle-free service which is exactly what we look for in a fast-paced, high-pressure professional sporting environment. When athletes are training or playing games almost every day, it is easy to run out of supplies and Physique Managements next day delivery ensures the players never go without. The team at Crawley Town highly recommend Physique management for any healthcare supply needs."